The Trinidad Coloniales is an elegant Cuban cigar, a medium-bodied Corona, 5.2” (132mm) long, of 44 ring gauge, and comes in 5 packs of 5 cigars. It has great construction; its beautiful nice pigtail at the end of it is the perfect illustration. It is a very complex and rich Habano, made for aficionados of cigar full of aroma. With this Petit Corona size Trinidad has proven that also Petit Coronas can develop rich and smooth taste reminding us of their elder brothers. • A flavorsome burst of spices and coffee mixed with tobacco. • Creamy caramel and toffee in the mix to add to its complexity. One of the best Petit Coronas coming out of Cuba. Light tan colored wrapper with a smooth feel, almost veinless with a well applied cap. The wrapper and foot both display wonderful sweet caramel, cedar and earthy aromas. After slicing the cap the pre-light draw proves to be surprisingly powerful with notes of sweet spices, cedar, oak and barnyard. Even burn with a good draw. The first third greets you with lots of sweet spice flavors, some woody notes (of oak) and deep moist soil aroma. There is also interesting tones of roasted nuts though lighter than in the draw, exotic fruits, and intense vanilla and sweet black cherry taste. The cigar produces a rich and creamy smoke and the ash holds firmly on the cigar. The cigar is robust and releases rich flavors. By the end of the first third, nice spicy taste and leathery notes reach your palate. The second third reveals a stronger profile of the cigar; the vanilla slowly fades away, and gives space to flavors of almond taste coffee, and strong roasted nuts aromas. The spicy taste is even more present in this third. The smoke released by the cigar is similar as in the first third, with the addition of lots of sweet vanilla taste and leathery notes. The burn is still very good and the ash holds on the cigar for a longtime and doesn’t fall before reaching a good inch in length. 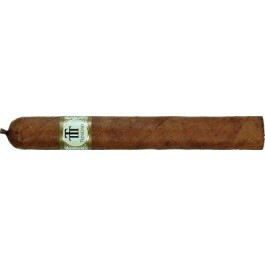 In the final third, the cigar profile has strengthened again; its flavors are of medium to strong. The flavors that dominate still are coffee, deep earthy notes, and strong exotic spices. Although the taste profile is very well balance, the cigar is pretty strong when reaching the nub. The smoke now has some flavors of almond and leather again. In summary, you will find it full of complexity and strength on the finish. One of the most superior cigars I've ever tasted. They are absolutely delicious. This cigar is better than any Cohiba. I just ordered two more boxes. Milder than the Reyes, but still stellar! Age them outside of the cardboard tubes lest they get too mild!